FastKlean has always been committed to putting something back into the community and actively supporting those in need, especially if it helps children. Brainwave is one of the charities we love and adore. It is focused on helping children with disabilities and conditions ranging from autism, Down’s syndrome, cerebral palsy through to genetic disorders. Their aim is to help these children become more independent by developing their communication, mobility and learning skills. This is done through physical and educational therapies. What could be more rewarding than securing a brighter, healthier and happier future for children? We know that Brainwave does a great job in helping achieve this which is why we actively support them. So when we learned that they were doing a charity event set in the heart of South Downs National Park on the Cowdray Estate, we just had to get involved. 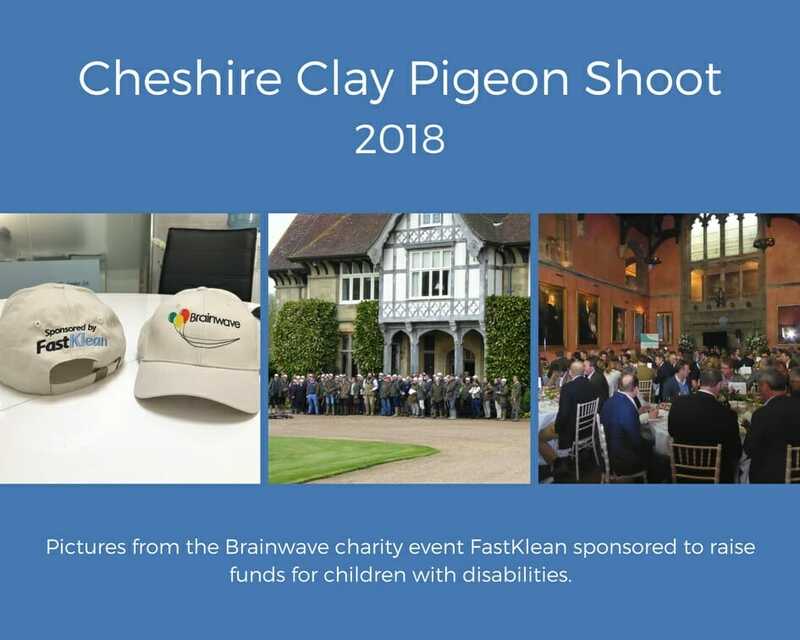 The clay shoot event took place on 27th April and was graced by the presence of the president of Brainwave – the Countess of Wessex, as well as Lord Cowdray, Jonathan Russel and Brainwave CEO Phil Edge. The event involved clay pigeon shooting, fine dining at the spectacular Buck House of Cowdray House and, most notably, an auction to raise funds for the charity. Our company was one of the sponsors and, as such, we were happy to provide hats that were used in the event. Additionally, we also contributed with other promotional materials. Our greatest compliment were the many gift bags full of goodies from our company that were handed to participants in the event. Just to see their happy faces was enough but to also see them walk around, bag in hand, made us immensely proud. We not only loved the cause of the event, but also how wonderful the day had been. Run by local Hownhall Shooting, it comprised shooting at sporting targets, geared for every level of expertise. It really was a complete success, judging by the money raised and the fun people had. FastKlean will always continue to support such charities, especially when they are for such worthy causes. Let us all put something back into this world! GET INVOLVED!